Strategic planning is the best way to ensure the health of your organization. 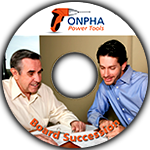 This Power Tool includes a simple step-by-step manual and customizable templates. Create a successful, low-cost strategic planning process and develop a concise, effective business plan to prepare your board to meet its legal and financial responsibilities and keep your organization on the right track. This product is available on USB (includes PDF documents plus editable templates) and will be distributed by mail upon purchase.